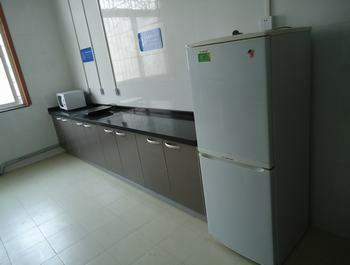 XSYU specially offers two kinds of rooms in a 5-floor International Students Dormitory. Suit-room: 4-students-share, includes 2-bedrooms, 1 sitting room, and 1 bath room with 1 shower, 1 basin and 1 toilet. The bedrooms are equipped with 2 beds, 2 mattresses, 2 wardrobes, 2 desks, 2 chairs, and 1 air-conditioner; In the sitting room, there is 1 table, 2 chairs, 1 shoe cabinet. 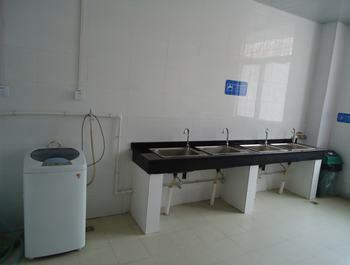 Single room: 2-students-share, equipped with 2 beds, 2 mattresses, 2 wardrobes, 1 shoe cabinet, 2 desks, 2 chairs, and 1 air-conditioner.In each floor, there is one Public Kitchen and Laundry equipped with Microwave ovens, induction cookers and wash machines, and one public lavatory. XSYU is committed to creating an exceptional living and learning environment for students, with mini-market, communication center, ATM, newspaper kiosk, mailroom, hospital, barber-shop, etc.